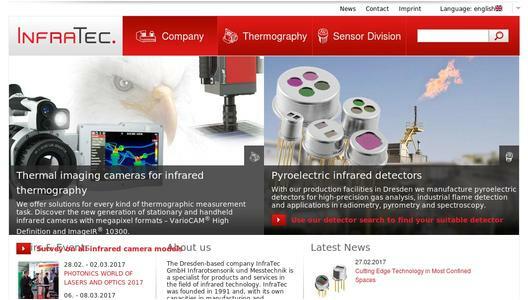 The demand for most advanced sensor technology is increasing throughout the world. Aware of these needs of industry and science InfraTec makes use of corresponding solutions for the development of its own products. Latest result of this effort is a series of miniaturized multi channel detectors. A mere glance at its appearance gives clues about these sensors first unique feature. In the cap where conventional multi channel detectors have sensitive narrow bandpass channel filters with special adhesive mounted, a central window has been added instead. This significantly more robust broadband filter, e.g. made of silicon, offers substantially better protection against penetrating moisture. It can also be soldered to the housing to create a complete hermetic seal. The channel filters are now placed inside the detectors instead. There, they are shielded from mechanical and physical stress as well as from other strains from harsh environments – and they are also located even closer to the pyroelectric elements. The reduction of this distance and the central window integrated into the detector caps are two of the factors that ensure that the field of view (FOV) is now significantly wider. At the same time, all elements are placed closer together inside the detectors. This allows more radiation to reach the pyroelectric element and therefore a higher signal. In addition, since the optical correspondence of the individual channels remains consistently low, the whole detector series proves to be extremely powerful. Because of their modular stack design detectors of this series are available with and without thermal compensation. 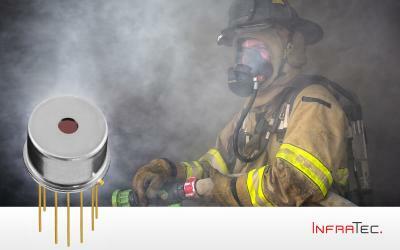 The new models are an example of an innovative product line, and one that provides users with additional possibilities for the use of sensors. The compact, miniaturized construction allows for more analysis channels with unchanged detector size. Or, the same number of channels can be integrated into significantly smaller packages. For example, the LRM-254, a miniaturized four channel detector comes in TO39 housing, with an aperture of 5 x 5 millimeters. Despite these minimal housing dimensions each channel filter has a size of 1.4 x 1.4 millimeters. Thanks to its space saving and robust design the detector will especially appeal to users who want to integrate sensors in portable devices. 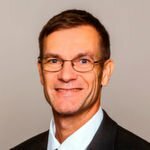 In the fields of gas and flame sensor technology, this increasingly compact periphery plays a crucial role. The same advantages refer to the miniaturized two channel detector LRM-202. 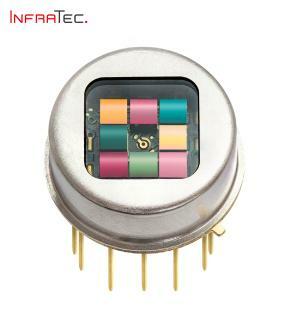 It is the latest model of this series expanding the product range of InfraTec. The detector has an aperture opening of around 3 x 2 millimeters and comes in TO46 housing with the channel filters 1.2 x 0.8 millimeters in size. Due to the minimized stack design, users of these miniaturized multi channel detectors gain important new flexibility and benefit directly from cost-optimized production. They get a solution for gas analysis and leakage detection that can be used in stationary and mobile devices ranging from medicine to safety technology and convinces with an attractive price-performance ratio. 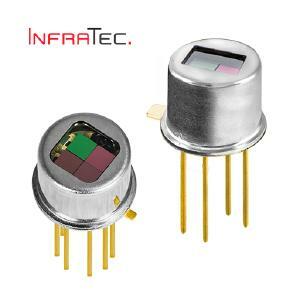 Spectrally single and multi channel infrared detectors count among the products of the infrared sensor division, next to Infrared sensors with electrically tunable filters based on MOEMS. These detectors can be used in gas analysis, fire and flame sensor technology and spectroscopy.